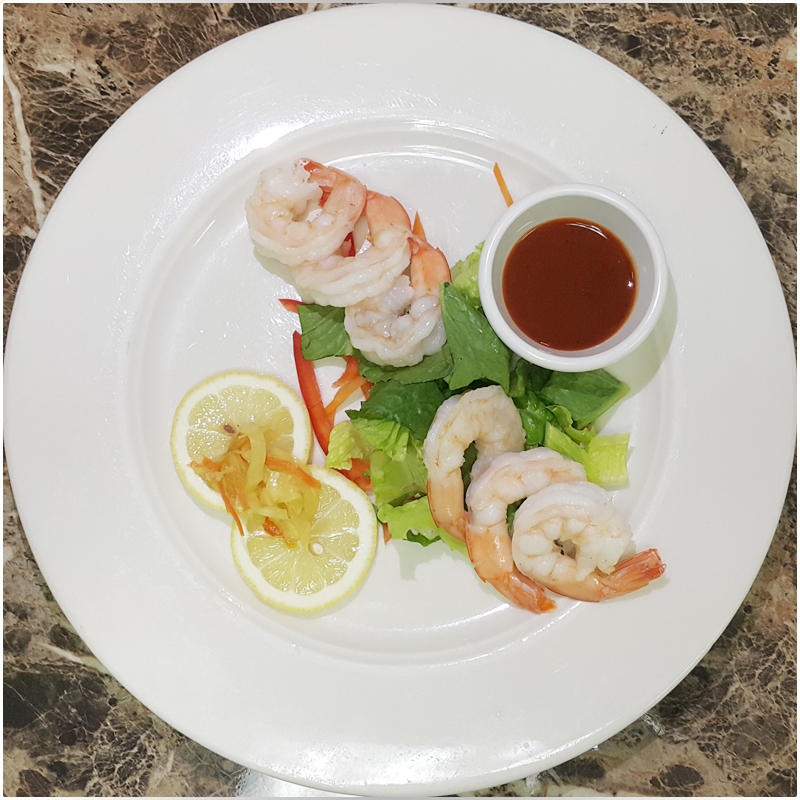 6 succulent, juicy jumbo shrimp cooked until tender, peeled, deveined and chilled. Served with our zingy spicy cocktail sauce, spicy cabbage and lemon wedges. Sweet shrimp, zingy spicy cocktail sauce, --add a hint of lemon to intensify the flavor.